Having completed the replacement of the eaves and spared down the old coat work the laying of new thatch can begin. 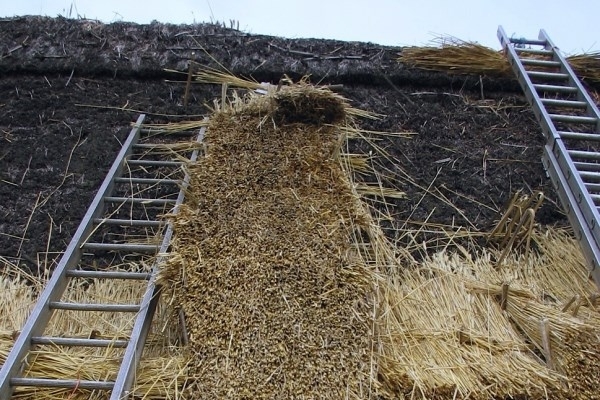 In these photos the work is fairly advanced and thatch is laid in ‘stalches’, in effect columns of straw. This method ensures that the thickness is consistent (new thatch generally adds an additional 12 inches of cover).